If You Already Settled an Insurance Claim but Haven't Signed, Can You Reconsider? Auto, property and homeowner's insurance will reimburse you for damages, but not before a claims adjuster works out the value of your claim and offers a settlement. If you have an attorney to represent you, the process can be fairly straightforward, in some cases no more than an exchange of letters and a settlement document. 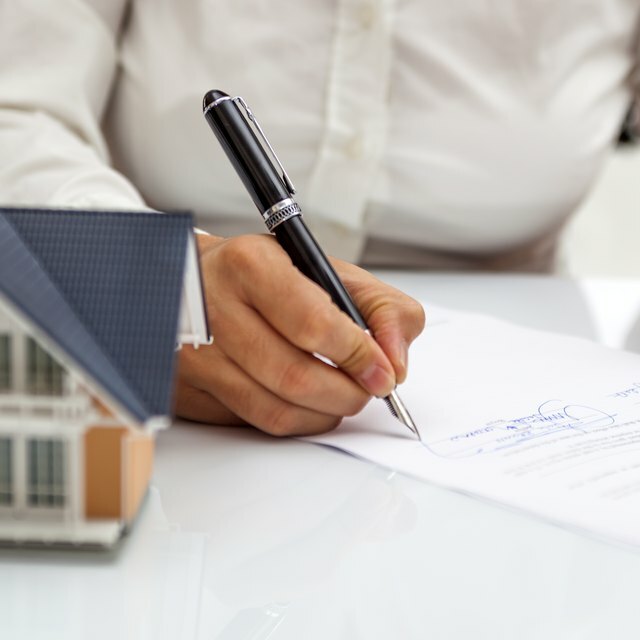 If you have second thoughts about a settlement that you've accepted, but not yet signed, you have some options. You are not legally bound to an insurance settlement that you haven't signed. Oral commitments made to an adjuster, whether in person or over the phone, and even if recorded, are not legally binding. You may have a good reason for reconsidering the settlement, and claimants frequently do back out of these agreements before signing them. If your costs have unexpectedly risen, for example, or if you didn't understand the agreement as it was explained, or if there was an error in a cost estimate, you could have good cause for re-negotiating. Policy limits set the highest amount the insurance company will pay, no matter what the damages are. Policy limits frequently come in to play for a serious car accident or for catastrophic storm damage. If the insurance company offers the limit, then you have no room to negotiate the settlement higher, as there is no legal obligation for the company to do so. Attorney's fees are considered part of the settlement and apply to the policy limit. If an attorney is representing your, your attorney will be the one to negotiate a settlement. The attorney is obligated to pass on all settlement offers to you, and to relay your response. If you accept a proposed settlement, the attorney will request the paperwork from the insurance company and prepare a statement, which will include attorney fees. At this point, backing out of a settlement is going to be difficult, since both the insurance company and the attorney are expecting a good-faith negotiation. One possible option is to claim that you're unwilling to abide by the terms of a confidentiality agreement. In most cases, an insurance company will not present this until the settlement paperwork is finalized. How Long Will It Take to Get an Insurance Settlement Once an Agreement Has Been Made? Once you have signed an insurance settlement, you've entered into a binding contract. There would be no legal recourse if you want to change the terms, unless you can show that the paperwork contains an error, or an invalid or illegal clause. You may also claim misrepresentation on the part of an adjuster, but before pursuing any civil claim, it's best to consult with an attorney on the merits of the case.